China Spring Green Tea: The spring season in China is divided up into 4 periods of time. The harvest dates of the most anticipated Chinese spring green teas, such as Longjing, are associated with certain dates on the agricultural calendar. The earliest plucked teas are the most desirable for sweetness and and delicacy, and these teas sell out quickly because production quantities are small. This is the breakdown of production times. Teas plucked during these times are made just once a year. Chinese spring green teas are sold by these seasonal designations indicating the time in the spring that the tea was plucked. The earlier the tea is plucked the morein demand and expensive it will be. March: weather permitting, the arrival of early spring in mid-March begins the plucking season for some premium green and yellow teas in Western China. In Sichuan Province: Mengding Mt. Gan Lu; Mengding Mt. Huang Ya and Zhu Ye Qing are plucked in mid-March. The earliest plucks of Xi Hu Region Longjing tea (Zhejiang Province) and tiny Bi Lo Chun (Jiangsu Province) begin to appear at this time as well. 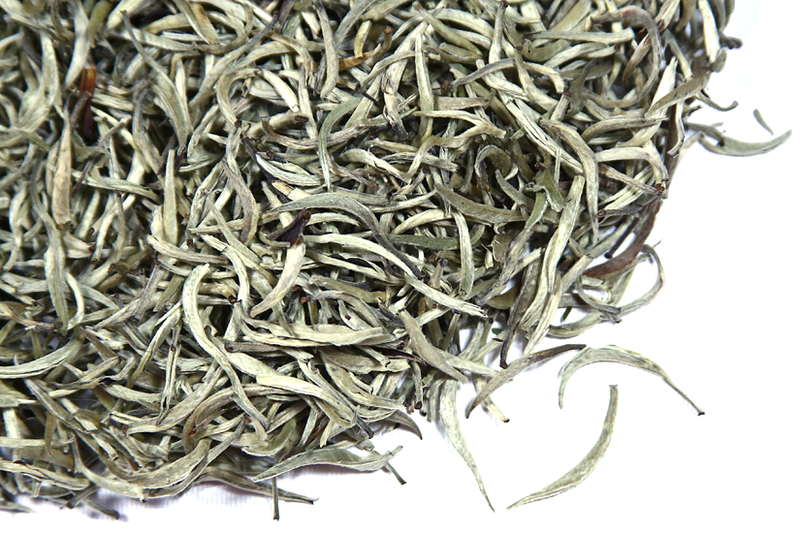 In Yunnan Province leafy green and tender bud green teas by mid-March. April: the month of April is the busiest time in eastern China for the production of premium green teas from all of the important green tea producing Provinces. First-pluckings of tea such as Anji Bai Cha; En Shi Lu Yu; Huang Shan Mao Feng; Long Ding; Lu Shan arrive before April 5th to receive the coveted Pre-Qing Ming designation. Yu Qian pluckings of these teas follow throughout the month of April. One look at this tea – and one sip! – was all we needed to become convinced that we needed to have this tea. While we are usually firm believers in the goodness of Fujian Province white teas over all other white teas, this variation has made believers of us that there can be a bit of white tea produced in other regions of China that is worthy of drinking. And we should not have been surprised – we love the unique nature of Yunnan black teas and Pu-erh, too, for all of their earthiness deliciousness. One of the more intriguing aspects of Yunnan tea is the diversity of tea bush varieties and cultivars that grow there as well as the number of old tea trees, old gardens, etc that thrive in these forested mountains. Yunnan teas really define the notion of terroir as there are many particulars that contribute to the flavor and style characteristics of these very special teas. This tea is made from an unusual tea bush variety that is local to this region of Yunnan – Camellia taliensis – that produces large, plump and juicy tea buds. You can see in the photograph that this is a bud plucked teas and that each bud is large and crescent shaped. These buds are covered with fine, thin hairs, which gives the tea a dreamy, velvety appearance and a soft, silky feeling to the touch. Fresh materials from these tea bushes are used in this region to make both white tea and black tea – this is a good example of what we mean when we talk about teas that are made from leaf materials that are usually reserved for making another type of tea. For example, several of our China green teas in the last two years have been made from tea bush cultivars usually reserved for making white tea. And, in this case, in addition to being manufactured into both black and white teas (see Da Bai Black Threads), the Camellia taliensis leaf is also used in some mao cha blends for Pu-erh, too. So the fresh leaf material from this unusual tea bush cultivar is versatile and highly regarded for it’s sweet, soft nature. 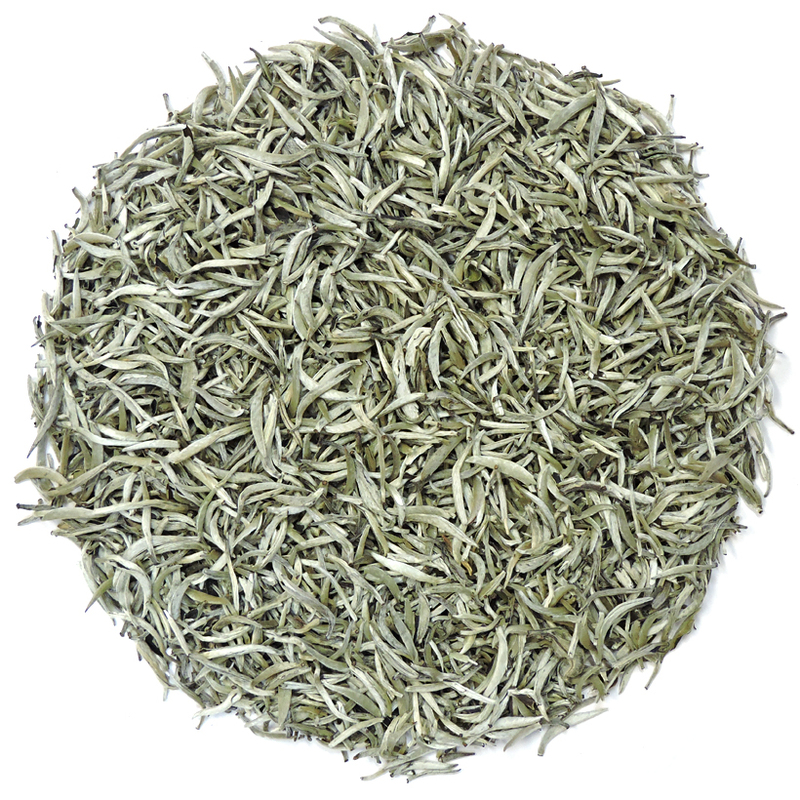 In this instance, the fresh buds have been used to make our Da Bai Silver Needles white tea. These large buds are greyish-white in color and underscored with a touch of green. This tea has been withered for a short time (slight oxidation) and then dried quickly with warm air. This gentle treatment allows the buds to retain a nice large size and a fresh, clean flavor. The tea is mild yet mouth fillng and rich. The aroma is fresh and enticing, and the taste is a heady mix of sweet ripe melon and the woodsy essence of a forest after a spring rain. 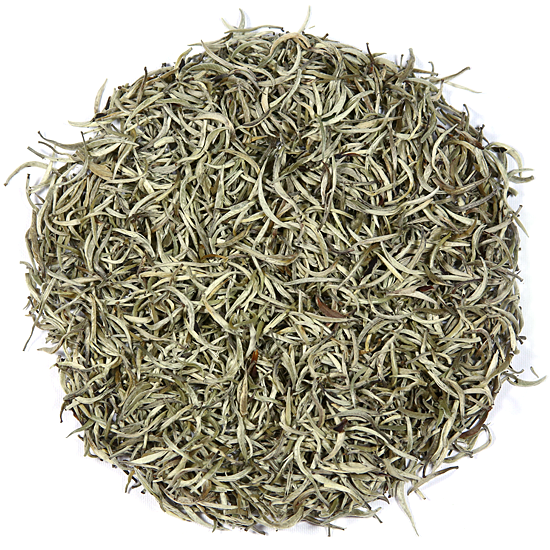 For lovers of bud-plucked white tea, this unusual tea is an elegant and special treat.